The Hong Kong Voluntary Health Insurance Scheme has hit the market over the last 10 days and there is a flurry of activity as insurers begin to explain the benefits. There are 25 health insurers signed up to the scheme, including AIA, Axa, BOC Life, Bowtie, Bupa, Cigna, FT Life, FWD, Manulife, Prudential and Zurich. David Alexander, chairman of the Hong Kong Federation of Insurer’s Task Force on Health Care Reform and head of P&C reinsurance for Hong Kong and Taiwan at Swiss Re, said the scheme is comparable to mainstream standardised private cover and is expected to cover the cost of ward beds in a typical private hospital; the introduction of flexi-plans should help if customers want to upgrade. Cigna, for example, is already offering a “high-end medical solution” with the VHIS flexi plan, which has an annual benefit limit of up to HK$5 million (US$638,000). He added that original estimate average cost of cover of HK$4,800, compared with HK$4,365 for similar already available products, has become HK$4,000 as a result of increased transparency and competition. The government is expecting between 1.5 million and 2 million customers to switch to take up the scheme in the next two years with the tax incentives a big bonus. 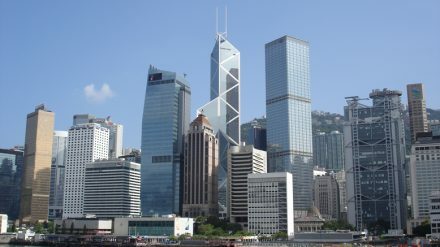 Any money spent on the insurance can bring about a tax deduction; for example a HK$4,000 scheme would save a customer HK$600, assuming a 15% tax rate. If a customer then also buys up to five relatives cover, tax savings could amount to HK$5,340. However, the scheme has still yet to have been fully understood by the public. Once the monthly take-up figures become available and customers experience claims, we will then begin to fund out how successful the scheme has been.